Actress Rumer Willis, who is starting a singing career, can count her mother Demi Moore's estranged husband, Ashton Kutcher, as a fan. Click here for more pictures, courtesy of X17online.com. 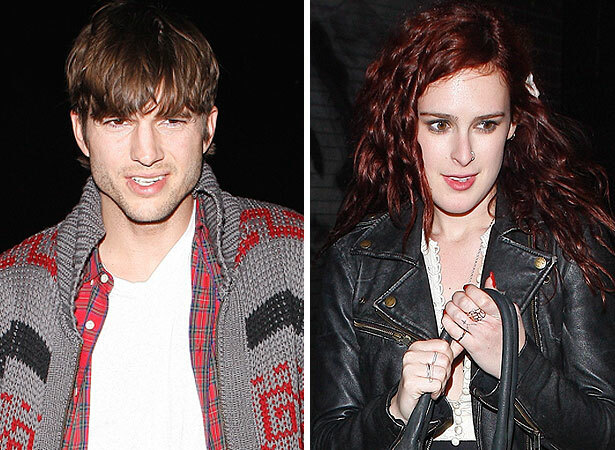 Kutcher was spotted at Willis' four-song performance Tuesday at Hollywood's Sayers Club Sessions, presented by Jason Scoppa. An onlooker told People.com, as soon as Rumer, 23, took the stage, the "Two and a Half Men" star looked on proudly and snapped some photos with his phone. After the show, Willis was seen talking to friends and then shared a long, emotional embrace with Kutcher. Said the source, "It seemed really happy and loving -- and like the two would be friendly... no matter what." Moore, who recently returned to Los Angeles after treatment, did not attend, nor did dad Bruce Willis.